High-Speed Check Transport Scanners scans both sides of 190 checks per minute and simultaneously reads the MICR (Magnetic Ink Character Recognition) characters using its built-in magnetic head. Our high-performance desktop color check scanning solutions bring a new standard of price & performance to the departmental level. With thirteen different models of high-speed document scanners, no matter which model you choose, innovation and value come standard. After all, that’s what people expect from BSC’s check scanners. Enhance traditional check processing with the easy to operate Canon imageFORMULA compact check transport. With high-speed, high-quality, precise processing capabilities plus reliable item handling, and now with direct network connectivity interface, the Canon imageFORMULA check scanner transports can help promote adaptability and productivity for check scanning in any financial applications. 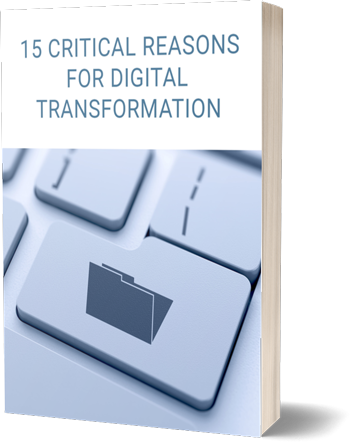 Find out why over 80% of organizations rank digital transformation as either “important” or “very important” in addressing disruptive challenges to their current business model.